The pre-pre-pre-pre-alpha of Firefox Mobile (Fennec) was released last night from one of Mozilla’s developers and is worth playing with as long as you aren’t expecting much. 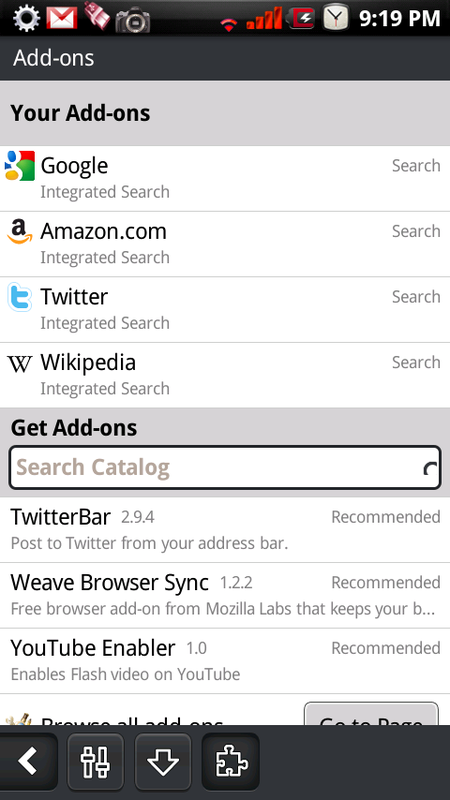 You should essentially install this just to get a general idea of where Firefox Mobile is headed. I actually like the functionality of the app, but that doesn’t mean this thing is anywhere near being polished enough to be release to the world. You’ll find no multi-touch, no way to zoom out, and extreme slowness. Still, give it a whirl. 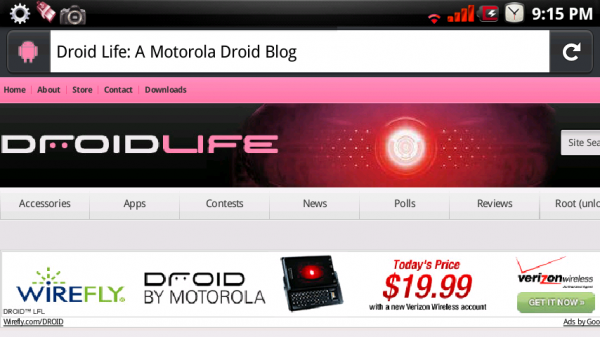 We’ve only really tested this on the Motorola Droid and the Nexus One. It will likely not eat your phone, but bugs might cause your phone to stop responding, requiring a reboot. Memory usage of this build isn’t great — in many ways it’s a debug build, and we haven’t really done a lot of optimization yet. This could cause some problems with large pages, especially on low memory devices like the Droid. You’ll see the app exit and relaunch on first start, as well as on add-on installs; this is a quirk of our install process, and we’re working to get rid of it. You can’t open links from other apps using Fennec; we should have this for the next build. Install the .apk file as you would any other app.